Living with chronic health conditions can often result in major changes to your diet and lifestyle. These changes are usually for the better; however, as your diet can often affect your condition as much as the medications you take. Finding the right diet for you will require collaboration with your doctors and nutritionists, as every person is different. 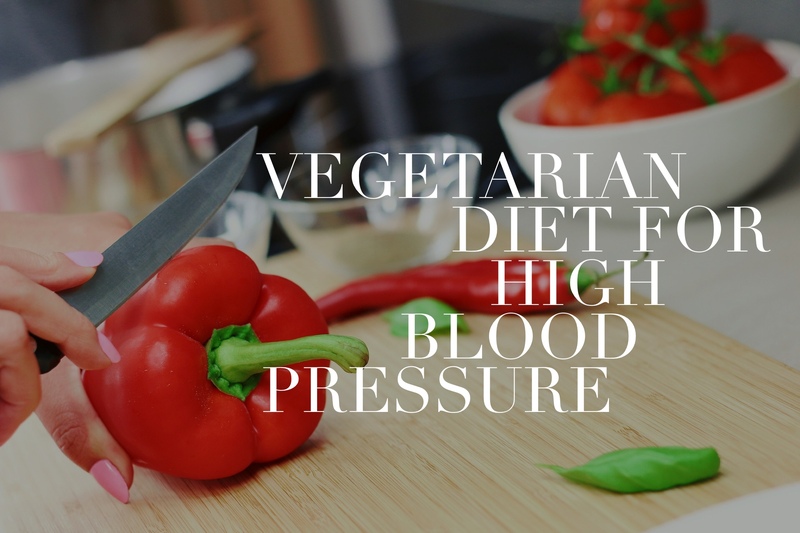 Whether you are already a vegetarian, or are considering a vegetarian diet, know that this is a diet that can absolutely work with a high blood pressure diet. There are many benefits to a vegetarian diet for high blood pressure. As with any diet, however, there are also factors that need to be considered and monitored. The majority of studies show that a vegetarian or plant based diet can help to reduce blood pressure, help stabilize blood glucose levels, and aid many other bodily systems. It is often touted as one of the most effective diets for treating certain health conditions. The American Heart Association as well as many other health organizations praise plant based diets as being effective for high blood pressure diets as well as other health conditions. Vegetarian diets are, quite obviously, void of the dangers of red meat and cholesterol ridden, high fat meats. In fact, vegetarian diets are shown to be effective especially because of leaner, lower fat, lower cholesterol options. While vegetarian diets may seem boring or restrictive to newcomers, you may be surprised to learn how enjoyable and easy a plant based diet can be. In fact, you may learn just how delicious simple, natural foods are all by themselves. Many people’s first thought regarding vegetarian diets is what sort of protein sources you can find. The fact is, however, that there are many sources of healthy protein. If you are a lactovegetarian, which means that you still eat dairy products, you can get protein from milk and cheese. Soy has just as much protein as any animal source, and is extremely versatile. There are also beans, nuts, legumes, and many vegetable sources that have a lot more protein than you might think. You do not need meat to get protein, but you do need to know where to get it from. Just because you are a vegetarian does not automatically make your diet healthy. You still have to watch out for things like fat, calories, sodium, and more. Try to stay away from processed foods and stick to whole, natural foods instead. This is the number one mistake that people make when they try a vegetarian diet, as they don’t realize that you still have to moderate the foods you eat and watch out for unhealthy ingredients. A vegetarian diet can be a great option for a high blood pressure diet, as well as for other health conditions. Incorporating as many whole, natural foods like fruits and vegetables into your diet is an excellent way to boost your overall health, maintain a healthy weight, and contribute to better blood pressure. Speak to your doctor or nutritionist about how you can pursue a vegetarian diet and how it could help you before you make any changes to your diet. Click here for more cardiac blogs.